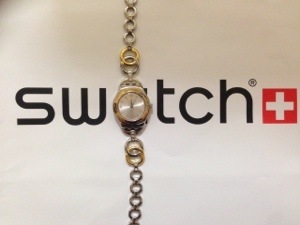 This morning I shopped for a new swatch watch, the Ring Bling which is part of The Spring Summer Collection 2014. According to the saleslady, it was the latest model, delivered this morning, and I was the first one to purchase the said model. Yay! Love being first! 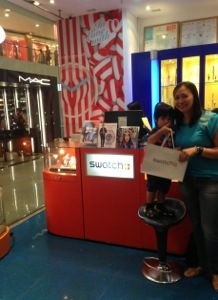 Thank God that I was delayed a few times in buying a swatch watch. So here’s the Swatch Ring Bling – Spring Summer Collection 2014!